BETHESDA, MD –The American Society of Human Genetics (ASHG) has named David Valle, MD, Henry J. Knott Professor and Director at the McKusick-Nathans Institute of Genetic Medicine of the Johns Hopkins University School of Medicine, as the 2014 recipient of the annual Victor A. McKusick Leadership Award. This award, named in honor of the late Victor A. McKusick, MD, recognizes individuals whose professional achievements have fostered and enriched the development of human genetics as well as its assimilation into the broader context of science, medicine, and health. ASHG will present the McKusick Award, which will include a plaque and $2,500 monetary prize, to Dr. Valle on Monday, October 20, during ASHG’s 64th Annual Meeting in San Diego. “Over the years, Dr. Valle has had a tremendous impact on human genetics research, leading various studies and consortia on biochemical genetics and genomics in the United States and internationally,” said Joseph D. McInerney, MA, MS, executive vice president of ASHG. “At the same time, he has maintained a prominent role in improving human genetics education and medical genetics training from K-12 science classes through the postgraduate level,” he added. Dr. Valle’s research focuses on the genetic factors underlying human health and disease, including specific genetic diseases and the broader interactions between genes and the proteins they encode that influence health and disease. Notable achievements include characterizing the molecular basis of many single-gene disorders, developing mouse models to study human disorders, and analyzing genetic variants associated with psychiatric diseases such as schizophrenia. In addition, he has led efforts to improve genetics education by developing medical genetics curricula; editing the widely-used biochemical genetics textbook The Metabolic and Molecular Bases of Inherited Disease; and directing the Johns Hopkins Human Genetics Predoctoral Training Program for over 25 years. He has been directly involved in training more than 500 students, fellows, and clinical residents. Dr. Valle was inducted into the Institute of Medicine of the National Academy of Sciences in 2002 and named a Fellow of the American Association for the Advancement of Science in 2007. He has received numerous awards for his research and teaching, including the March of Dimes Foundation’s Colonel Harland Sanders Award for Lifetime Achievement in Genetics Research and Education in 2003 and several honorary lectureships. 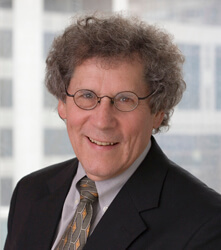 A member of the American Academy of Pediatrics and the American Association of Pediatrics, he has served two terms on the Scientific Advisory Council of the National Human Genome Research Institute and several terms on the Board of Scientific Counselors of The Jackson Laboratory (JAX). ASHG also recognizes Dr. Valle’s substantial contributions to the Society and its journal. A member since 1982, he belonged to ASHG’s Nominating Committee from 1995-1996 and its Awards Committee from 2001-2003, and was Chair of the Awards Committee from 2006-2008. He also served on the Editorial Board of The American Journal of Human Genetics from 1989-1991, and since 1992, has co-directed the annual Short Course in Medical and Experimental Mammalian Genetics, a two-week summer course organized by ASHG and JAX. In addition, Dr. Valle was a member of ASHG’s Board of Directors from 1990-1992 and 2002-2005, including a year as its President in 2003.